What is your pugs favorite summertime activity? Hello and welcome to Pugworld. The reason for this site is to act as a gateway to our forum. This site was created 5 years ago by a group of pug owners who met on a message board. Although we may not share the same lifestyles or locations, we do share a very special bond in our love for pugs. Feel free to have a look around our website. 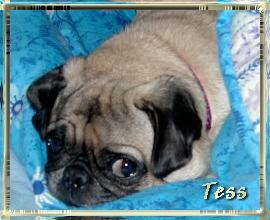 Be sure to tour the photo galleries where you will meet our pugs, then stop into our forum and meet us. There's always someone around who's eager to share a story or two. We're looking forward to meeting you and your pugs and hope you enjoy our site.